Time to emerge from the shadows? The night time is the right time to rock, but you need an invitation that can go all day. 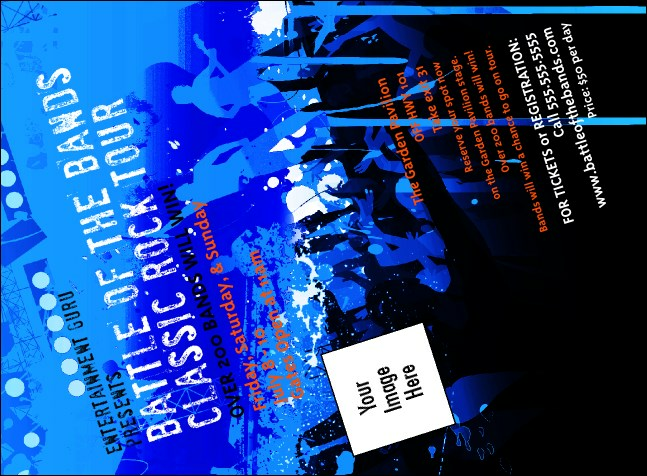 Check out the Rock Concert Blue Invitation, with space to upload a custom image on the template and a matching Event Kit with silhouetted images of the band taking the stage. Sweet and low or sky-high and in your face, TicketPrinting.com has the right design for you.